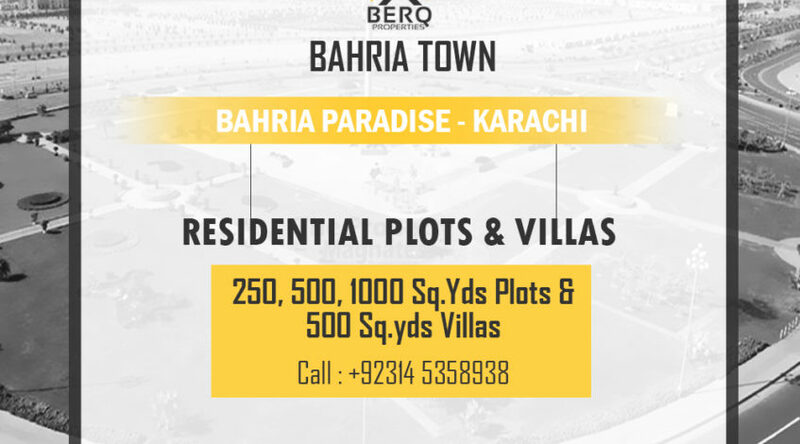 Bahria Paradise is a new project in Bahria Town Karachi. Bookings are now open. Hurry up before all plots get sold. Contact us today. Booking Date Extended – Book Now! 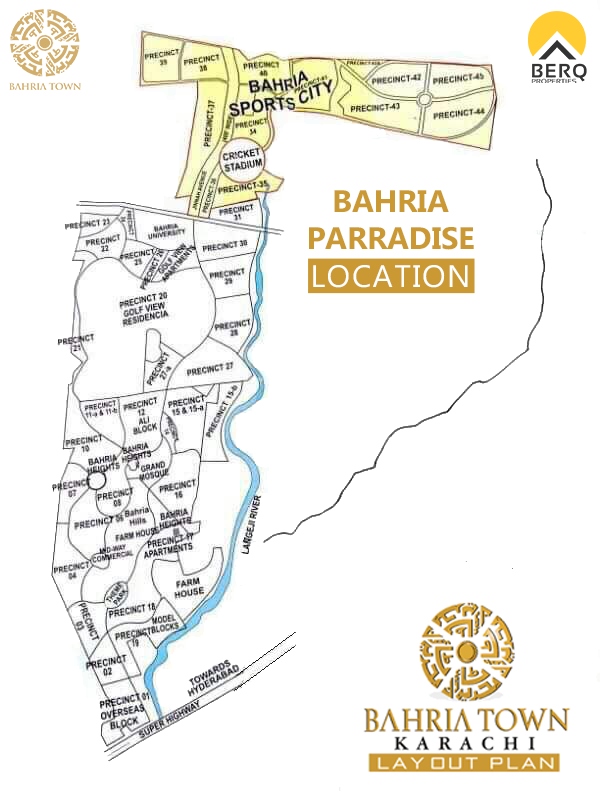 The location of Bahria Paradise Karachi is opposite to Grand Jamia Masjid, next to precinct 16 up to sports city. Also, there will be a massive replica of Taj Mahal within Bahria Paradise. Its construction will start soon this year. The project has been launched on 27th April 2017 by Bahria Town. 250, 500, 1000 Square Yards Plots and 500 Square Yard Villa Available. 1. First, you have to call us at +92314 535 89 38. 2. Secondly, you will bring your CNIC copy, 2 Passport-sized photos and CNIC copy of ‘Next to Kin’ which can any relative or close friend. 4. Finally, after payment, you will get a plot confirmation receipt. Note: The booking forms are available at authorized dealers. These plots and villas are available for a confirm purchase, therefore, there is no balloting process like DHA housing project. For booking please call us at 0314 535 8938.